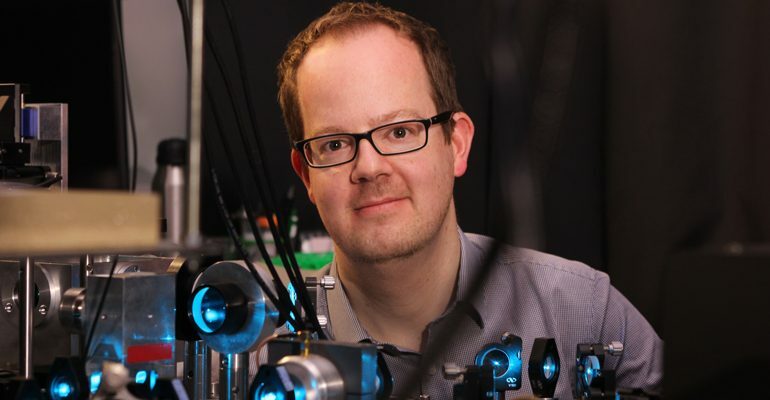 Jan Huisken, a scientist who develops tools to image biology in its unaltered natural state, will lead the medical engineering focus area at the Morgridge Institute for Research and help catalyze a campus-wide multi-scale imaging initiative. Huisken, a research group leader at the Max Planck Institute of Molecular Cell Biology and Genetics in Germany, will join Morgridge in August and also serve on the biomedical engineering faculty at the University of Wisconsin-Madison. At Morgridge, Huisken will replace medical physicist Thomas “Rock” Mackie, who retired in 2014, as the new permanent director of medical engineering. “Jan is bringing to Wisconsin the perfect blend of cutting-edge scientific pursuits, collegiality and the desire to make broader impacts on human health through his work,” says Morgridge CEO Brad Schwartz. Zebrafish gastrulation, an early phase of embryonic development, captured in a 4-lens light sheet instrument over the course of 14 hours. Every nucleus is fluorescently labelled and color coded for depth (Movie by Gopi Shah, MPI-CBG). 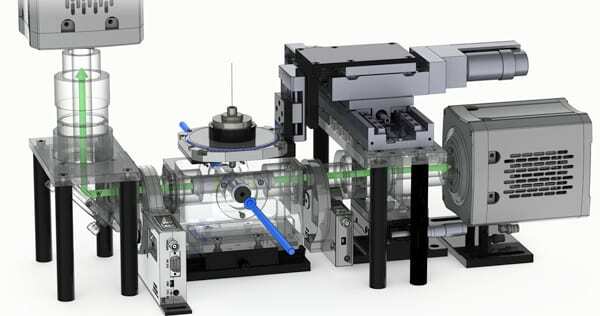 Huisken is widely known for creating a technology called light sheet microscopy, which introduces minimal perturbation to the live specimen and captures sensitive biology in its truest functional state. Huisken’s work focuses on the early development of zebrafish, a model organism widely used because its transparency allows direct observation of intact systems, and light-sheet imaging can produce striking images of cellular movements and beating hearts and real-time development of organs. Hundreds of scientists across the world are using light sheet microscopy. Many commercial systems are available, but Huisken also provides hardware and software instructions online for any scientist to recreate their own bench-top versions. Huisken’s current primary focus with these tools is embryonic development in zebrafish, but he sees great potential in applying light sheet microscopy to medical projects. For example, regenerative biology director James Thomson is using stem cells to develop tiny “organoids” in a dish that mimic the features of the developing human brain. Light sheet may offer a way to image these organoids in real time without interfering with them, providing an unprecedented window into human development. Huisken also is excited about initiating work at Morgridge on the concept of “smart microscopes.” He explains that light sheet imaging is so fast it can run cameras capturing 100 images per second, cranking out terabytes of data every day. However, most of this data duplicates basic things scientists already know. But what if microscopes could “learn” to recognize important things happening within a specimen, such as brain, spine or limb development, and refocus intensively on those areas of interest? This marriage of imaging with machine learning would produce less “noise” and more valuable data. Medical engineering, one of the five core Morgridge research areas, is devoted to creating technologies to better diagnose, treat and prevent disease, and has projects ranging from improving CT scans to surgical imaging. It includes an advanced fabrication laboratory that collaborates with scientists across campus to design and build functional medical prototypes. Interim Medical Engineering Director and Morgridge Investigator Kevin Eliceiri, who also directs UW-Madison’s Laboratory for Optical and Computational Instrumentation (LOCI), launched the multi-scale effort in 2015 to help researchers work across the vast scope of medical imaging, from the atomic and cellular up to whole-body imaging of CT and MRI scans. Eliceiri estimates there are more than 300 UW-Madison scientists who work across these different scales. The next frontier of health advances could stem from these scales working more in tandem, he says.